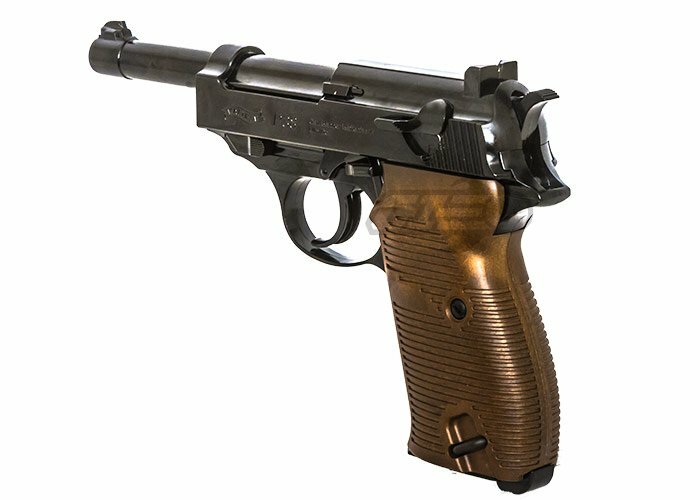 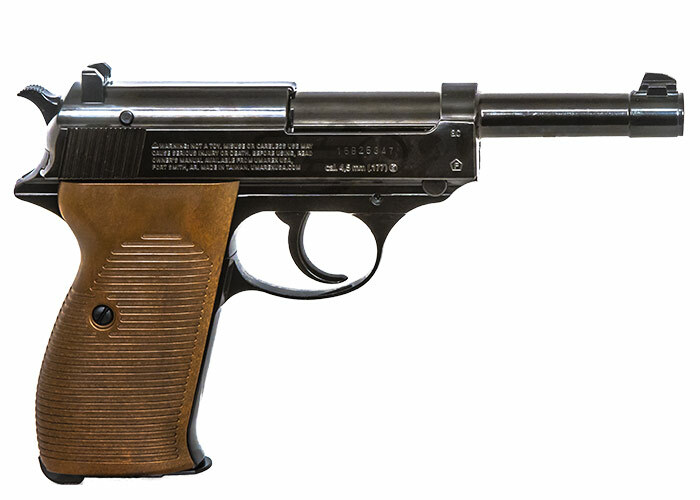 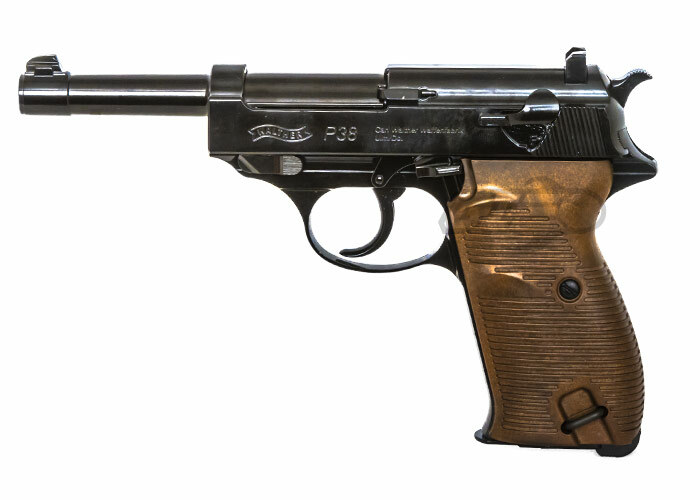 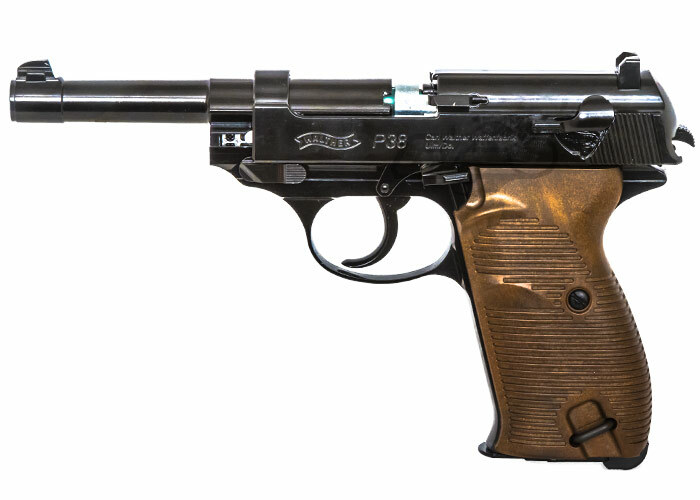 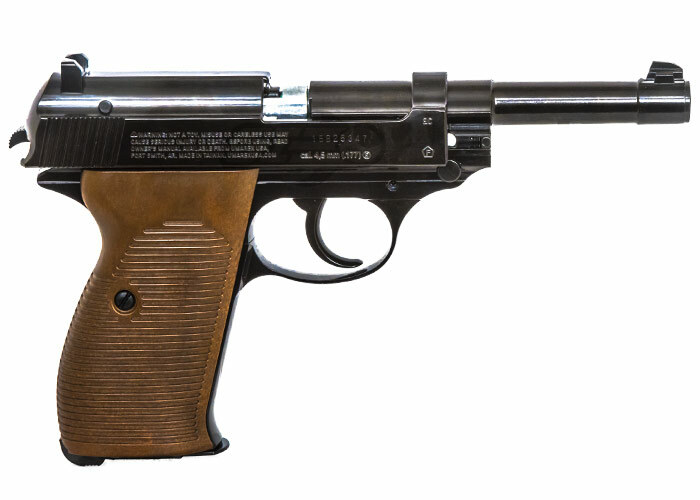 The Walther P38 is a 20-shot BB Pistol with Blowback Action. 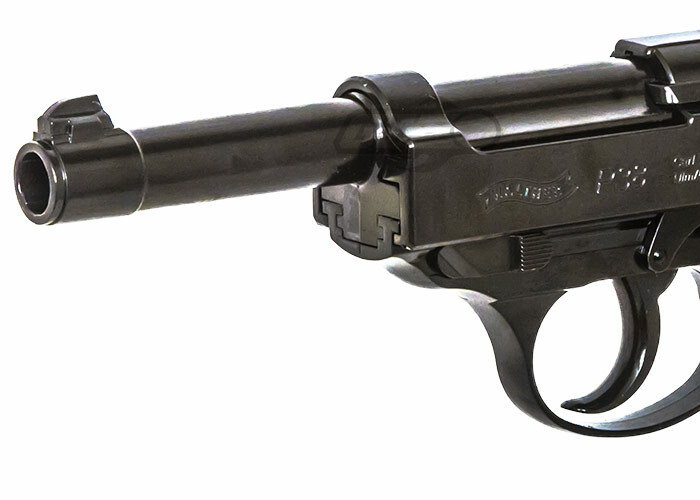 This Single action pistol shoots at a velocity of 400 FPS. 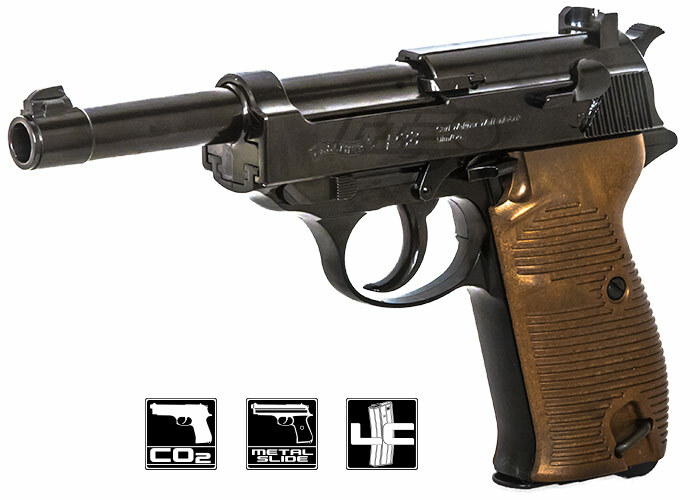 This full metal pistol is powered by CO2 and features a removable barrel for a different look, 2 stage trigger, synthetic grips for comfort, and fixed front and rear iron sights.